This case study illustrates the approach and process used by USAID’s Mozambique mission to integrate its biodiversity, education, food security and nutrition, and health sectors through the Integrated Gorongosa and Buffer Zone (IGBZ) project. Using an integrated approach in the IGBZ project has enabled the mission to mobilize other agriculture, education and health resources for biodiversity conservation and to amplify investments to address a wider range of development needs in the Gorongosa region. 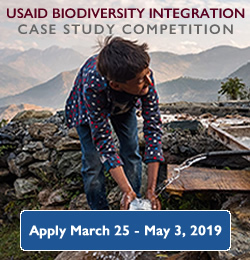 The document highlights the enabling environment for achieving development goals across sectors through biodiversity integration and offers lessons learned for USAID missions, bureaus and offices interested in pursuing integration. The case study may be of particular interest to biodiversity and natural resource management specialists who are interested in learning how to integrate biodiversity with other sectors and other Agency staff interested in learning how to work across sectors.